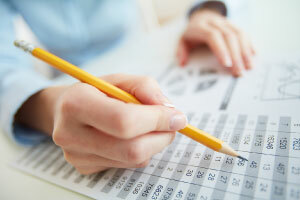 Learn more about recording business transactions in accounting. The ability to accurately record business transactions is of vital importance for accounting professionals in any business or organisation. In this free online accounting course you will be introduced to ledger accounts and journals and the rules for recording your transactions in them. You will learn about permanent and real accounts in the Ledgers, what the journal is used for and how the posting to each are referenced. The accounting cycle is explored along with the eight steps that form the basis for recording business transactions. This course also introduces the six rules of debit and credit along with explanations and examples of each rule. The course then links all these concepts together by demonstrating a series of transaction postings starting with the journals and ending with a trial balance and looking at possible sources of errors in a trial balance. Students then see how this information is used through vertical and horizontal analysis to assist in making business decisions. This accounting course will be of great interest to entrepreneurs and business professionals who would like to get a thorough introduction to accounting principles, and to any learner who is interested in accounting as a future career. Analyze and use the financial results - horizontal and vertical analyses. This course was easy to follow and gave good detailed examples. It was a very good course - helped me to review key terms and procedures. its a very challenging course which requires a lot of focus. Very good introductory accounting module, it has everything you need to know.